The Franchise of WCW is back and I couldn’t be more excited. Growing up on WCW, my earliest memories of wrestling involve watching Sting (in his Black and White “Crow” incarnation) terrorize Hollywood Hulk Hogan and the New World Order. Sting is the reason I got into wrestling back then. Once I made the jump to watching WWE in 1998 (then known as the WWF) I latched onto The Rock, but always held out hope I’d see Sting there. Years passed and he never came over, opting instead to wrestle for Total Nonstop Action. So now here we are. After years of rumors of Sting finally making the jump to WWE, we have the very first huge appearance for him. He’s done a couple of interview spots on the WWE Network after the death of Ultimate Warrior but this (HOPEFULLY) represents Sting’s move to an eventual appearance in a WWE ring. So now that I’m done with that brief history lesson, 2K games is offering Sting as a pre-order bonus with both his “Surfer” and “Crow” incarnations available. One of the rumors going around the last few months is that this game will feature a career mode with a focus on the WWE’s developmental division NXT. 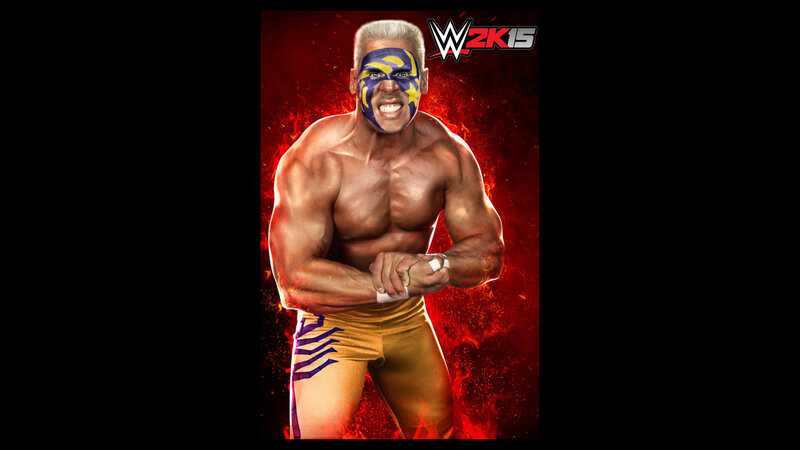 Another is that there will be a mode similar to last year’s “30 Years of Wrestlemania” Mode that focuses on the WCW. That last one needs to happen, there are so many people that didn’t experience the WCW at it’s height and 2K really has a chance to do something special to supplement what is being offered on the WWE Network in terms of the history of WCW. Last year, 2K did not have a chance to really get their hands on the game as it was mostly completed when they took over for the now defunct THQ. Normally the information and rosters for the WWE games starts flowing around the WWE’s Pay-Per-View “Summerslam” so we should start seeing more about the game the weekend of the event August 15th to the 17th. It’ll be interesting to see what 2K does with the WWE on it’s first full year working on the game.